This concept includes how buildings interact with the wider built and natural surroundings and innovative solutions that create different environments to provide for a mixed range of uses which improve the experiences of tenants, residents, workers, visitors and the general public. At the forefront of dynamic building design are a number of buildings which involve moving elements or ingenious design features to allow the structure itself to transform and adapt to varied and ever-changing needs. 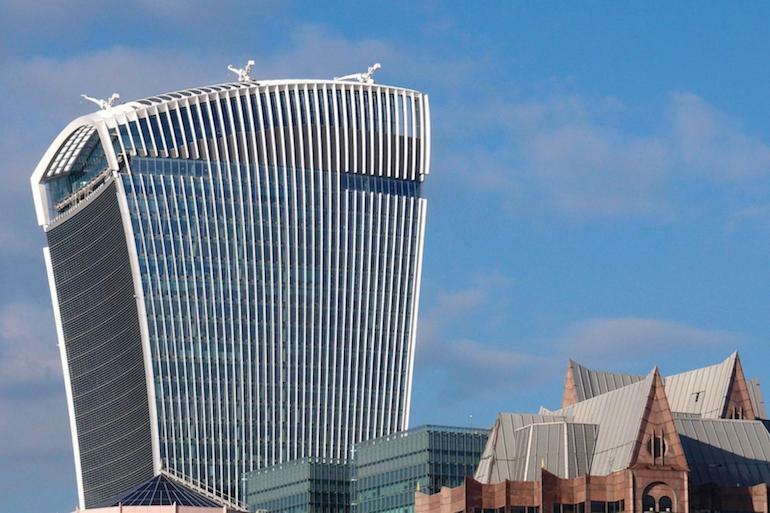 This landmark building by world-renowned architect Rafael Viñoly has been nicknamed the ‘Walkie Talkie’ because of its distinctive shape and top heavy form, making it one of the more visually recognisable tower buildings in London. The unusual form allows space for a three-story public sky garden at the top of the building with landscaped gardens, an open air terrace, restaurants and function spaces, all with stunning views of London. Traditional ‘big-box’ skyscrapers are usually designed as closed systems to keep the internal temperature at a comfortable level with heating and air conditioning. 20 Fenchurch Street, however, uses specially designed panels in the glass roof which make it partly retractable and allow for the temperature to be naturally regulated, which is especially important for the roof gardens during the summer months. Given the importance of the roof garden area for the visual appeal of the building and the enjoyment of residents and visitors, CoxGomyl supplied a range of different systems including three 7000 Series Building Maintenance Unit (BMU) systems on the main roof. Each of the BMUs have been designed to park out of sight between the roof fins to minimise their visual impact when not in use. This award-winning building is the focal point of a major mixed-use urban renewal project built around a new public park of approximately 6,500 square metres. 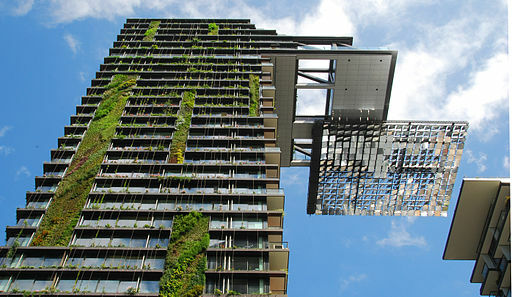 One Central Park itself is a 116 metre tall vertical garden which is home to 85,000 facade plants with 1200 square metres of green walls in total. Perhaps the most innovative aspect of the project is the heliostat which delivers natural light into areas of the development where it would otherwise be very restricted and limited by the geometry of the site. The heliostat uses 40 moving, motorised mirrors on the roof west tower. These motorised mirrors track with the sun and move incrementally throughout the day to consistently reflect and harness the natural sunlight. The motorised mirrors reflect the sunlight up to a large cantilevered platform on the higher eastern tower which holds a meticulously arranged array of fixed mirrors. Each of the mirrors on the cantilever corresponds to a pre-determined target area and delivers natural light to ground level or atrium level. After sunset, the heliostat transforms the building once again as the cantilevered platform becomes the canvas for the Yann Kersalé’s artwork Sea Mirror and is illuminated by 2880 coloured, programmable LED lights. As part of a comprehensive system of building maintenance units for this project CoxGomyl also designed and supplied a moving roof gantry covered in reflective glass panels. As the leading provider of facade access systems worldwide, CoxGomyl are experts in the design, engineering and manufacture of precision mechanisms for Building Maintenance Systems as flexible and as innovative as the designs of the boldest architects and industrial designers.